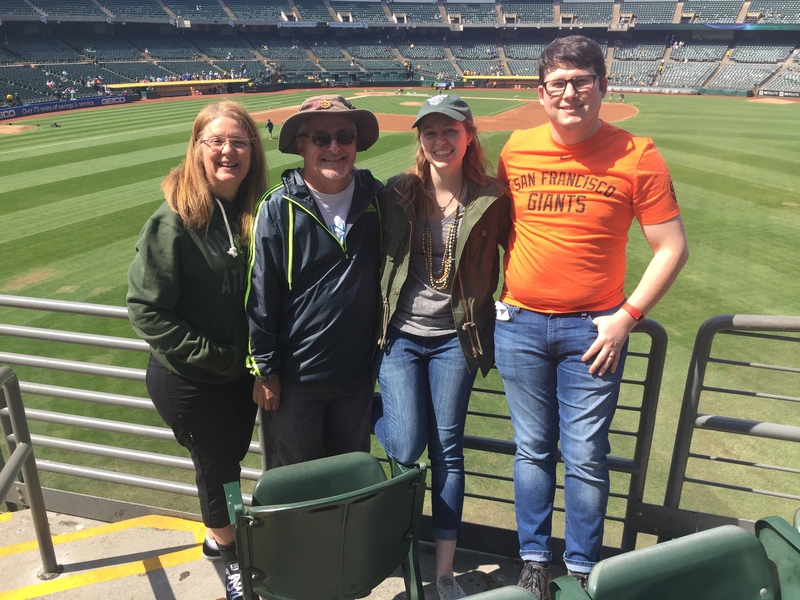 My parents came to visit this month and my dad had 2 requests: an Oakland A’s game and Lake Tahoe. 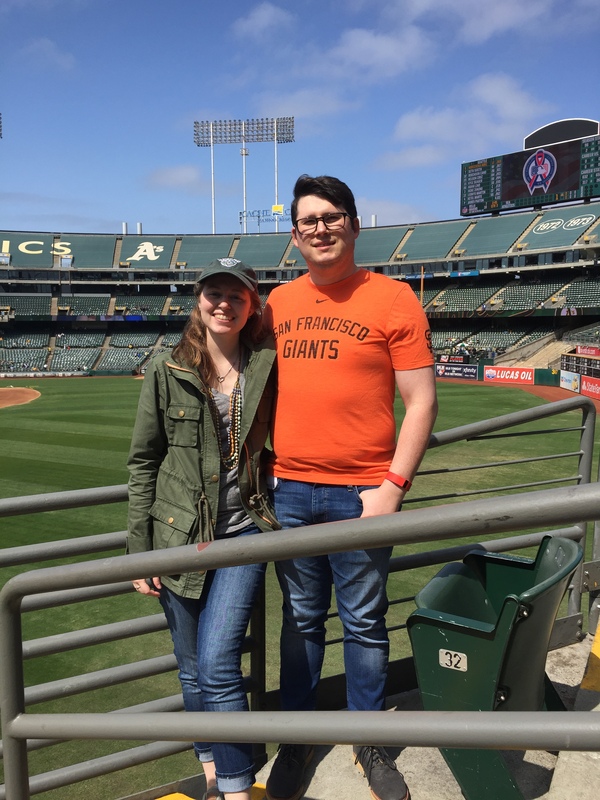 While the Tahoe one is easy, they rented a car for 3 days in the mountains, deciding on which A’s game to attend was a bit more up in the air. Eventually we settled on the Sunday afternoon game, against the Mariner’s. 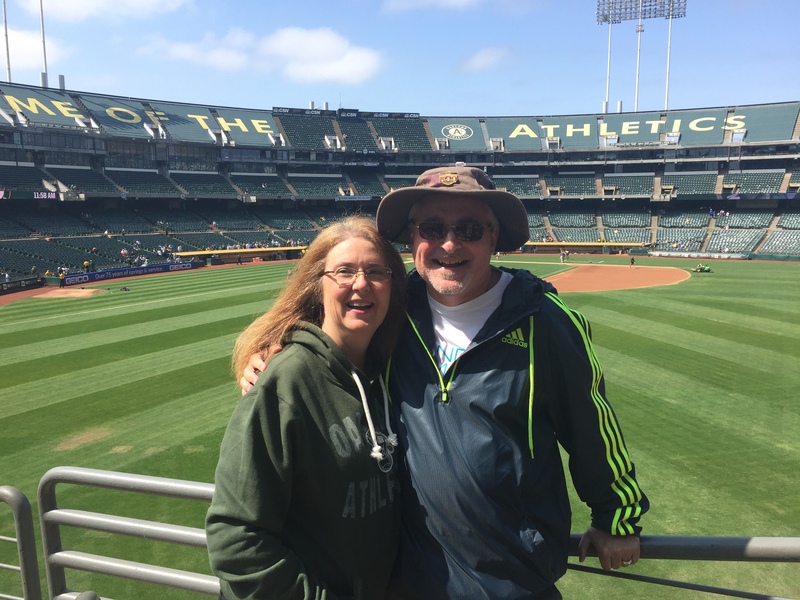 We waited to get tickets because we thought we would get them cheap at the box office, it is an A’s game after all and they have the 2nd lowest attendance rate in the MLB. As we were walking up to the Ticket Counter a security guard asked if there where 4 of us and if we needed tickets. My dad said yeah, and this guy gave us 4 tickets! They were in the ‘bleachers’ section in left field but FREE tickets! No, the crowd wasn’t huge and they did come back to tie the game at one point but still lost. And we may have gotten a little too much sun, but it was a fun game and a great way to spend a Sunday afternoon with family! My parents enjoyed it to say the least!